The More Birds® 16 oz. 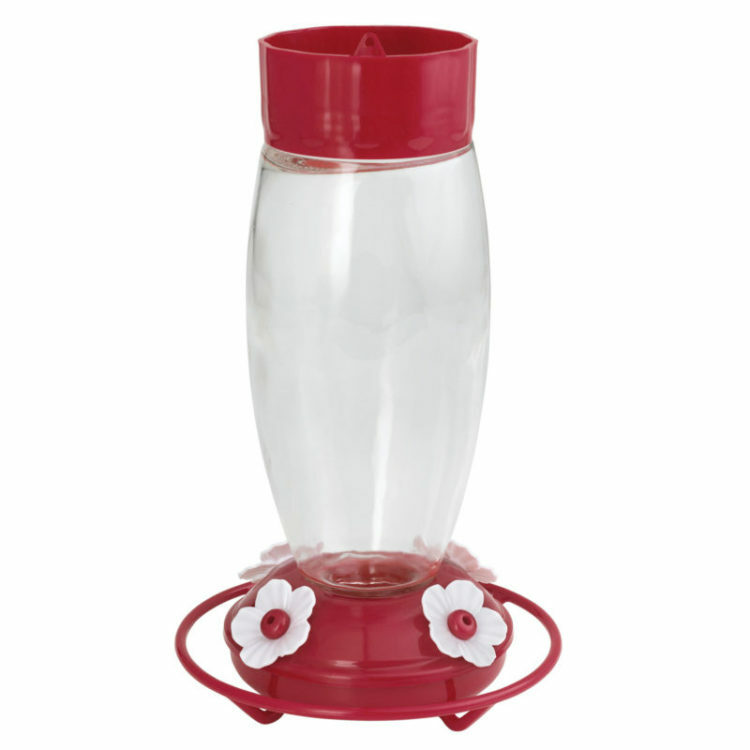 Orion Hummingbird Feeder revamps everything you know about hummingbird feeders. The ant moat on top not only stops crawling insects from reaching the ports, but it also lays flat so it’s easy to fill. 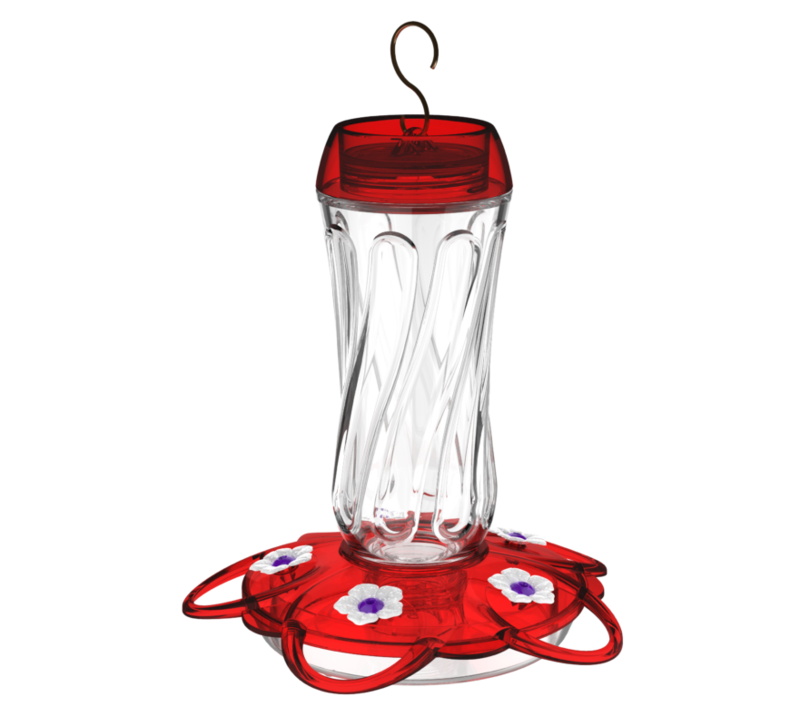 The glass bottle is a beautiful design and a great option for anyone who is looking for a long-lasting feeder. The perches are large and rounded to allow hummers to perch comfortably while they eat from any of the 5 feeding ports. The base comes apart in 2 pieces, and the bottle has a large opening for easy cleaning. 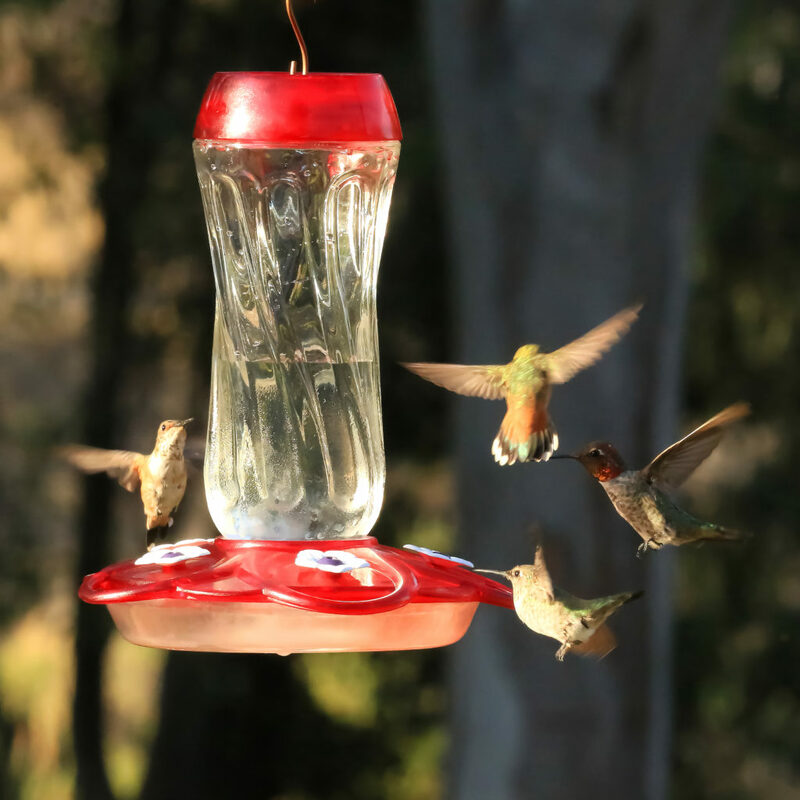 All of the shapes and colors of this feeder will attract not only the older crowd of loyal feeders, but also a younger crowd of new and curious bird lovers.